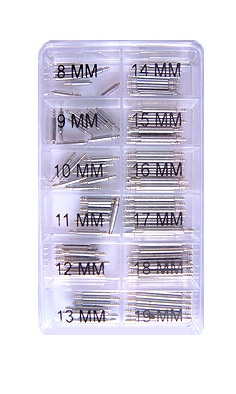 100 Assorted watch spring bars complete with case. 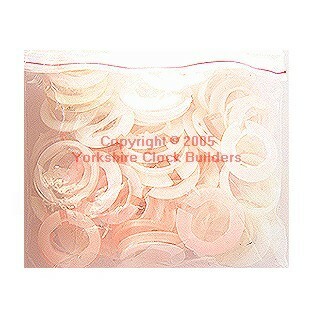 Watch movement rings plastic for watch cases, assorted sizes 90 pieces. 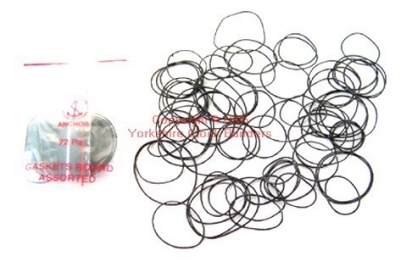 Rubber washers (gaskets) round, assorted pack of 72 pieces. 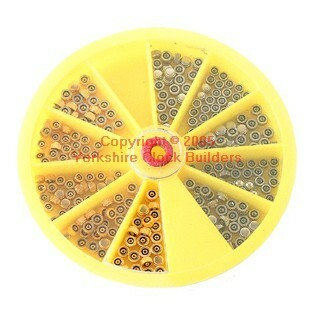 Watch crowns assorted 250 pieces in plastic box. 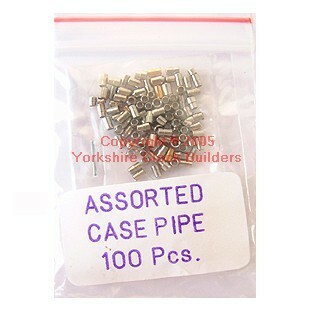 Pipes for watch cases (Assorted) 100 pieces.